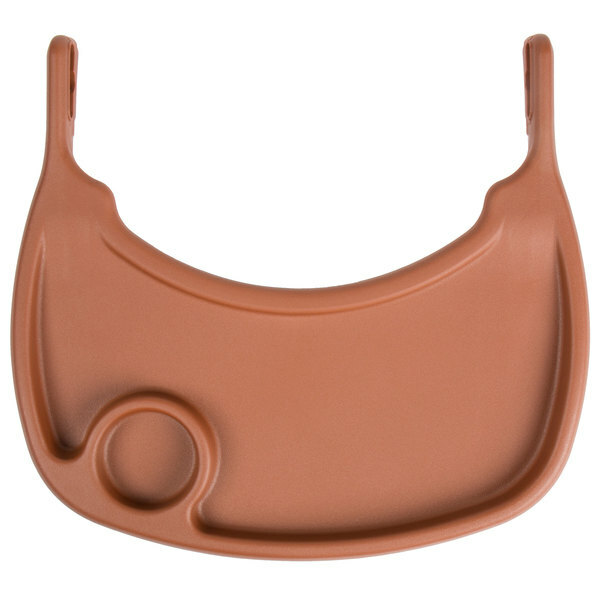 Replace old, worn, or misplaced high chair trays with this Lancaster Table & Seating brown plastic high chair tray! It's designed to fit directly onto compatible Lancaster Table & Seating high chairs. Simply snap it on and snap it off for quick cleaning before your next party arrives. This tray keeps meals within close reach, allowing children to comfortably eat without having to reach onto the dining table! Plus, its high rim keeps plates and food items from sliding off the sides and onto the floor, helping to prevent excess messes. An added cup cut-out also keeps beverages from being knocked over to reduce spills and cleanup time.